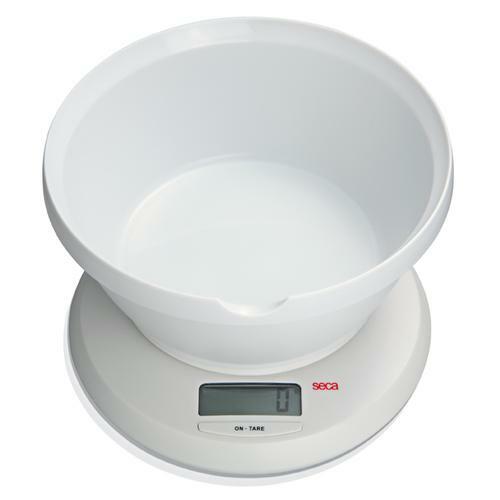 The Seca 852 Culina diet scale with bowl can be an ideal combination, particularly when the bowl is a perfect fit for the scale. After the scale has been used, the scale can be stored in the bowl. This easy-to-use cooking scale has a TARE function which can repeatedly reset the weight to zero, no matter how much is already in the bowl. Maximum precision. For use as a diet scale. One button controls all functions. High weight capacity of up to 6.6 Ibs (3,000 grams).